In Gokak, we noticed another strange thing. Let the pictures talk for themselves. The next day we started early as we wanted to cover all the Bijapur tourist spots, so for first time everybody was ready by five thirty. We reached my uncles home for breakfast and hot aaloo paranthas were waiting (very unusual if you think about it in the context of North Karnataka!). After a superb breakfast we first went to Jamma Masjid. Of course, it was built by Adilshahi, but which one I forgot and we were surprised to learn that among the old mosques, it was second largest in the country. It was designed by some Persian architect and the central place is engraved. 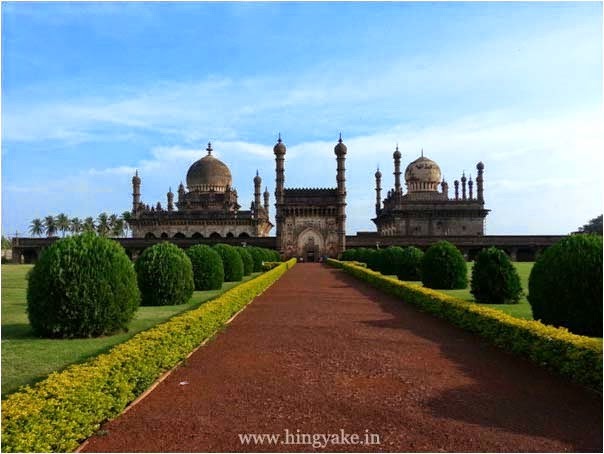 Second spot in Bijapur was world famous Golgumbaz. It’s basically a tomb for the king, Mohammed Adil Shah. 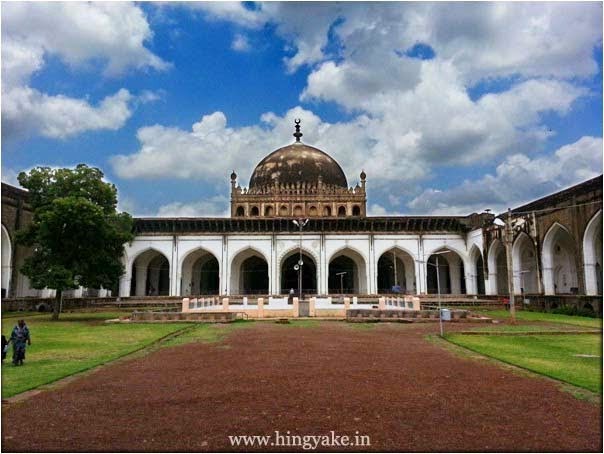 Two things to do there - one museum and of course the actual Golgumbaz dome. We spent more time in the museum as it was extensive collection of all types of sculptures and war armoury and historical coins, so on and so forth. The worst part is climbing the gumbaz. Once you are in, you will marvell at its features of multiple echoes and diagonal sound transmission (in that large dome, if you sit diagonally and speak to the wall, it’s clearly communicated to the opposite side). We were tired by the time we came down and slept on lawn grass for some time. We had heavy “joladarotti” dinner at my uncle’s place and left for Hungund. We stayed at our friends place there. Next morning, first destination was “Kudalasangam”. That’s the place where Vachanaguru Basavanna is said to be resting in peace (I have my own doubts). We bathed in Triveni Sangam and visited the serene resting abode of Basavanna. Next followed Aihole, Pattadkal and Badami in that order. 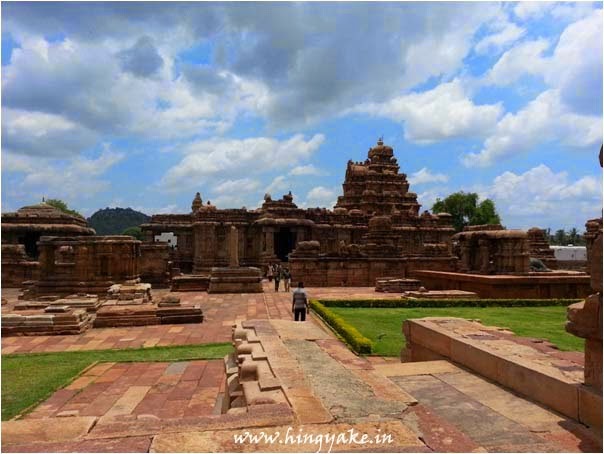 The guide in Aihole said that all three places are like different grades – Aihole is primary schooling where it was amateur sculpting, followed by Pattadkal which was like high school and Badami is like college. And that the universities or higher education centres are Belur and Halebidu. Most of them were shiva temples. 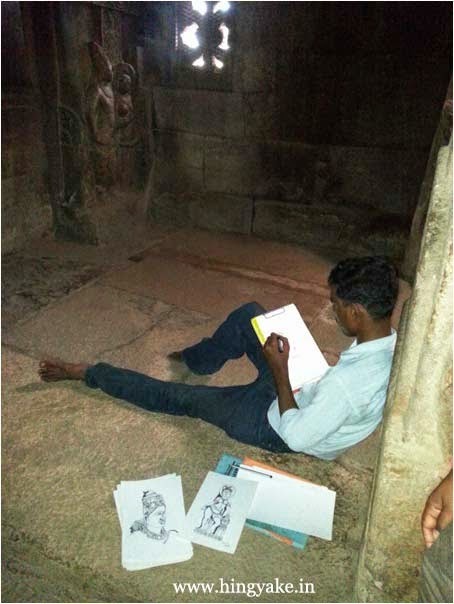 In Pattadakal I had a chance meeting with an amateur artist. He was comfortably sitting in a relatively dark corner, I stole a glance at what he was doing. All the work was being done by left hand on note pad on his folded right knee. As I like sketching myself, I was attracted to what he was drawing and was also wondering at his skills. After I chatted him up regarding his fine arts course. Him being from that place, he volunteered to give us a guided tour of that temple. It was then I understood my misunderstanding about his posture. He was disabled in the right extremities due to polio. He seemed to be poor and some conditioned feelings made me offer him money. He wouldn’t take it unless for one of his portrait. So I bought one. Next it was Badami caves. We notice that they were more into Vishnu forms like vijayanarasimha, vamana and varaha. As the afternoon gave way to evening it was time to pack. We left to Bangalore at around five. Most of us had had very less sleep in the last two days. After lots of cyclic driving, we reached Bangalore around 6.00am the next morning. Later that day after adequate rest, me and rohith rode to Pondicherry. Somewhere in background of my mind I was sad and knew we would have to plan next trip soon.